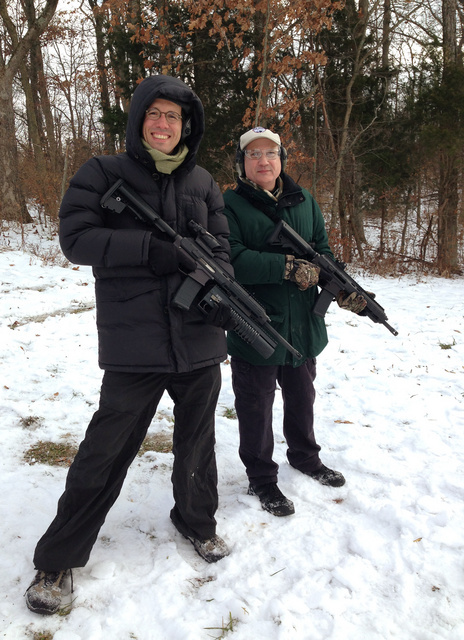 My IP lawyer Glenn and I went shooting with Bob Faxon and his friends. 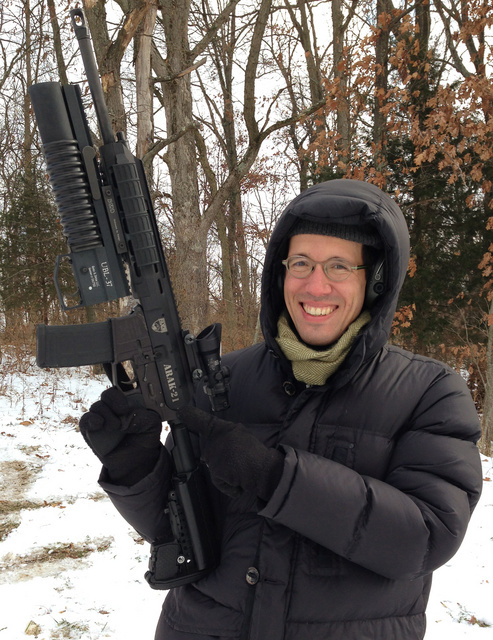 Long-stroke piston rifles were very controllable even at 700rpm. I ended up wearing one pair of gloves over another and still froze. Despite the cold, we all had fun. I will post my observations, photos and videos later this week. This entry was posted in author, rifle. Bookmark the permalink. I have one of their 5.56 uppers on order. I was hoping to get it before Christmas, but it looks like it might not arrive until January. Did you find it difficult to get a good cheek weld? It looks like I might need to use rings that are lower than “standard” AR height. Their rail is 0.4 inch higher than standard for AR15. Either use slightly lower rings or, with fixed height mounts, use a 0.4 inch riser on the stock. Faxon is no working out the minor correction required from standard sight-in charts. At short range — 25-50 yards, I found no difference at all. My “box-o-parts” has rings that are 1/2″ shorter than AR standard as well as 1/4″ and 1/2″ cheek risers. So hopefully between all of those, I can work something out. Love the ear-to-ear grin! Wet, cold, hot-and-muggy, or whatever…a challenging day at the range beats a great day doing something else! Looks slightly less warm than when you were in Orlando. I kind of look like a doofus in that pic. I will post photos of you taken for ads as soon as I edit them.